MagicLinks is the global leader in authentic social commerce for YouTube. MagicLinks’ technology empowers YouTube influencers to share the products they love and earn income as their fans shop across any social platform. For online retailers seeking high ROI in social, they provide measurable, scalable solutions to influencer management. Their 7,000+ content creators have influenced purchases for over 100 million shoppers in videos that have been viewed over 12 billion times. They work with brands and creators that span nearly all verticals, and have performed particularly well for Awin fashion brands. 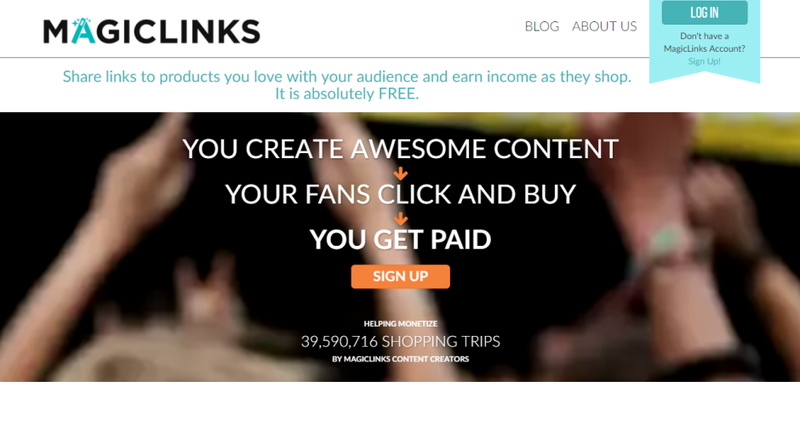 MagicLinks seeks to ensure the creators’ content remains authentic. How do you accomplish this and why is it so important? We make it possible for them to earn on this organic advice in lieu of or in addition to sponsored deals. Creators with too many sponsored posts are perceived as less authentic. MagicLinks’ users seem to love how easy the platform is. Are there any specific features or tools that they especially enjoy? Indeed! We released the MagicLinks Chrome Extension so creators can see Retailer Ratings as they are browsing/shopping, and create and upload links within seconds while browsing. MagicLinks Retailers Ratings is an industry first – a score, based on 12 key factors including commission rate, cookie duration, mobile experience, and more – that provides full transparency to influencers deciding which retailer to send their fans to, and to retailers looking for specific ways to improve their ability to scale with influencers. As the value and ubiquity of influencer marketing continues to grow, what role do you think MagicLinks can fill? Anyone who says they have all the solutions with influencers is lying. We do not have them all, but we have solved affiliate for influencers. Data is king. Our advice for brands is always rooted in data. We know which influencers are driving $500k/month in sales through YouTube. We know the top brands that they care about and why. We know the long-tails who have uber high engagement from fans whose purchase activity vastly outpaces their following. We know where their fans are located. We know a lot and we share a lot with our top partners. The transparency that we provide allows our brand partners to make better informed decisions on their influencer strategy and marketing as a whole. We’re super proud of that fact. What are benefits for advertisers working with MagicLinks? Access to the most incrementally efficient traffic on the web, high ROI, ability to move very fast, and transparency in results. If an advertiser is looking to dramatically accelerate their work with YouTube influencers, MagicLinks is the partner to work with. Awin leadership is among the best. They have been a great partner to us in facilitating global recognition. Awin’s payment on influence technology is a great step in providing visibility to and compensation for top of purchase funnel, extremely high-value partners like YouTube influencers. We look forward to Awin’s continued technology and customer service innovations. Interested in partnering with MagicLinks? Please contact Jennifer Piña at MagicLinks or our publisher management team.